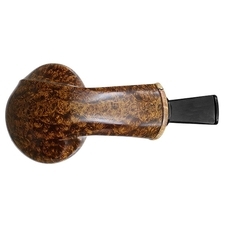 A playful, yet composed take on the bent Brandy, here Scott Klein has turned convention on its head, taking a number of classic Danish and modern American shaping cues in a unique direction. 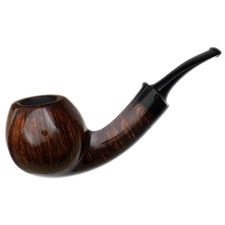 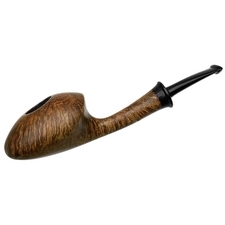 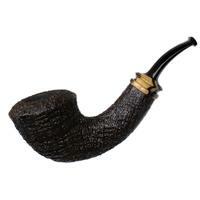 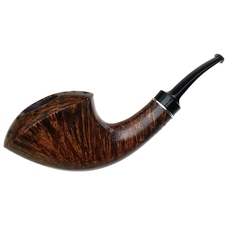 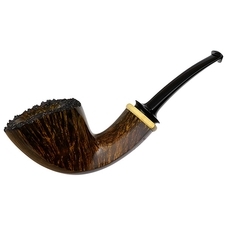 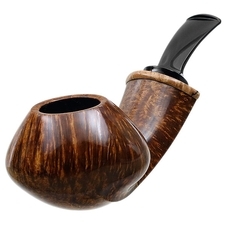 Like many Danish designs, this piece features that iconic Ivarsson-esque teardrop line along the left side of the shank, with that ridge extending along the underside and up the left flank of the bowl to the rim; yet the bowl itself isn't the rounded Apple or traditional Brandy you'll typically find accompanying such designs. 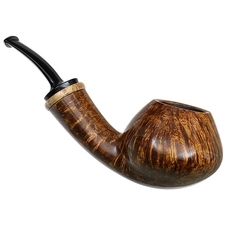 Instead, Scott's played with asymmetry here, elongating the cheeks to either flank to a serious degree, giving it an oblong shape when viewed from the smoker's perspective. 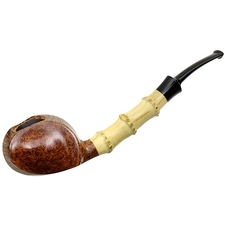 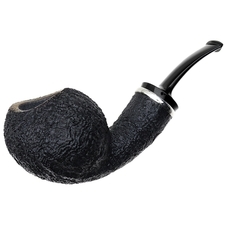 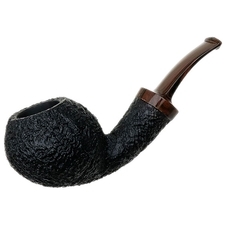 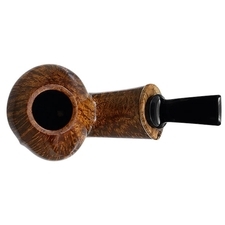 While aesthetically this makes for quite a unique look, this asymmetrical style also offers more ergonomic benefits as well, offering a more natural grip of the broad bowl with the thumb placed just above the transition. 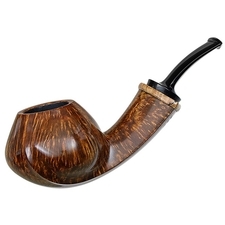 Really impressive work from Scott here.